Thanks to high humidity, moisture issues can be pretty common in the South. Indoor moisture issues can develop in any room, or in any space. If not properly controlled, high levels of moisture can lead to the growth of mold and mildew and can even damage your home or building by allowing wood rot and/or structural damage to set in. In addition, mold growth can potentially cause a variety of health problems for susceptible individuals. Attic moisture issues can be a result of a few things: lack of proper attic ventilation, lack of proper attic insulation, or attic condensation. Poor attic ventilation, lack of proper attic insulation and attic condensation all allow attic moisture levels to elevate and potentially cause mold growth in the attic. As with any interior mold issue, locating the moisture source is key. The moisture control experts at AdvantaClean of the Lowcountry will diagnose your attic moisture issues and mold issues. They will recommend and implement corrective measures and ensure you have proper attic ventilation. Because it is typically used merely for storage, the attic is often an overlooked area of the home. Many people don’t realize is that the attic is home to some of your home’s most important components. The attic often contains portions of your HVAC ductwork as well as the majority of your home’s insulation. Like any unconditioned area of a South Carolina home, attics can contain high levels of attic moisture and high humidity-- posing a threat to your indoor air quality. Elevated levels of moisture can cause deterioration of your attic’s structure and attic insulation as well as your HVAC duct work and equipment over time. Attics are usually poorly ventilated, allowing moisture to be retained and creating the perfect habitat for attic mold growth. An attic moisture or attic mold issue can go unnoticed for a long period of time, taking corrective action immediately is important. AdvantaClean of the Lowcountry’s attic moisture and attic mold experts will be able to diagnose the source of the moisture in your attic and provide solutions to correct the problem. Dryer vents, plumbing vents, kitchen vents and bathroom vents should always be exhausted to the exterior of the building, not into the attic. When these vents are not exhausted properly, moist air is deposited into the attic, raising the humidity, and potentially causing attic mold growth. In winter months, warm, moist air enters the attic from the living space below and clashes against the cool roof decking and framing, resulting in condensation or even interior frost in the attic. This repeated and sustained wetting of the wood encourages mold growth. Attic ventilation systems help control the moisture, temperature, and humidity by exhausting the moist attic air, eliminating the potential for condensation or frost in the attic. DO YOU HAVE AN ATTIC MOISTURE OR ATTIC MOLD PROBLEM IN YOUR CHARLESTON PROPERTY? CALL THE EXPERTS AT ADVANTACLEAN TODAY (843) 806-0862! WHY IS ATTIC MOISTURE A PROBLEM? AdvantaClean can help diagnose your attic moisture and attic mold issues by properly identifying, recommending and implementing corrective actions. Our attic mold and attic moisture specialists can perform professional mold remediation in conjunction with addressing the attic moisture source-- from simple repairs to comprehensive attic moisture control solutions. To prevent or repair a moldy attic, call AdvantaClean. Another common place for moisture problems to occur is the crawlspace. 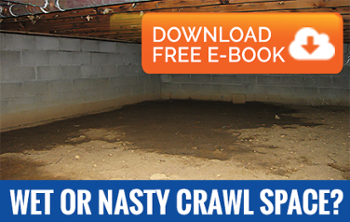 Many crawl spaces have an exposed earth floor. This dirt floor allows moisture from the ground to evaporate into the crawl space, increasing the crawl space moisture levels and creating the perfect environment for mold to settle and thrive. Lack of crawl space moisture control can lead to high levels of moisture in the wood framing of your crawl space, creating the perfect environment for mold to grow and thrive. To properly address mold growth in your crawl space, you must first identify and eliminate the source of excess crawl space moisture—Let our experts help you properly identify and address your crawl space moisture issue! Our Charleston crawl space moisture specialists can address the moisture source– from simple repairs to comprehensive vapor barriers, crawl space ventilation systems and crawl space dehumidifier installations. Servicing the Charleston, North Charleston, Summerville, Mt Pleasant, Daniel Island, Goose Creek, Ladson, Moncks Corner, Georgetown, Pawley’s Island, James Island, Johns Island, Isle of Palms, Ravenel, Kiawah Island areas, we have the experience and skills needed to fight moisture and mold and to prevent the problem from happening again. Call us today at (843) 806-0862 to find out about our wide range of services and how we can help you get rid of unwanted Charleston moisture issues!